Ford is an American standard for car quality, a historical heavyweight whose reputation for impressive vehicles continues. That doesn’t make Ford perfect, though, and Kia knows it. The newly reinvented Kia brand, experiencing a continuous upsurge in popularity because of its combination of real quality and affordable prices, takes on competition like Ford every day–and often comes off conquerer. Sporty design, smart use of space, youthful appeal, and a price tag that makes even the most frugal buyer happy are some of the reasons why Kia is drawing buyers away from the famous blue badge every day. 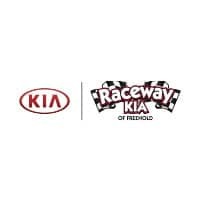 If you’re looking for a car or SUV that will give you both quality and athletic style, come take a look at how Kia compares with your favorite Ford models.